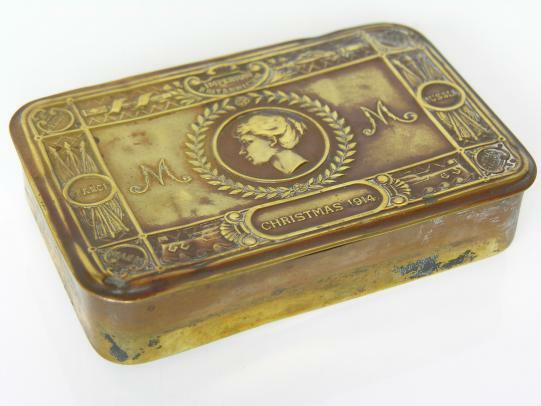 Rare complete WWI Princess Mary 1914 Christmas Gift. 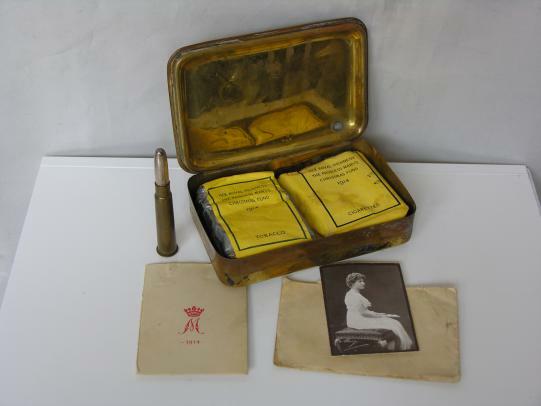 Brass tin with two packets of cigarettes, photo, greeting card and envelope plus the bullet pencil. 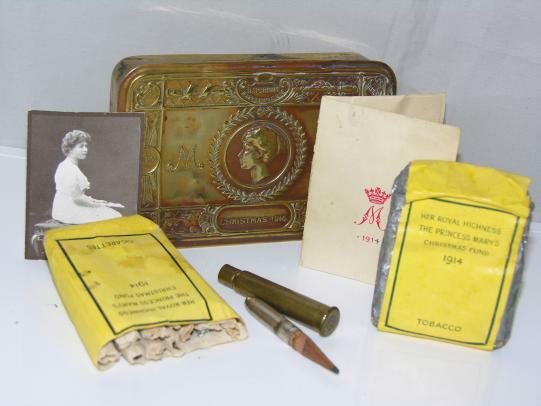 All items are in good condition but show signs of age that being 104 years old. Please check out the images. Vietnam era USN USMC USAF US Army Pilot and Aircrew Survival Sea Dye Marker. Contract dated 1971. Un-opened and in mint condition. Complete fishing kit from the C-1 survival vest, un-opened and in very good condition. Un-opened rations Vietnam era by Carr Consolidated, almost perfect condition just a few scratches to the can. Have two of these both good.